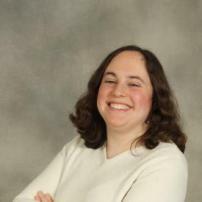 Rachel Zakuta is a SF/Fantasy writer (the author of Reckless Space Pirates, among other things), an English and Special Needs teacher, and a mom. She lives in the Boston area. Rachel loves to read (mostly speculative fiction), write, play complicated board games, play the piano, solve puzzles, cook, travel, and do basically anything with her kids. She also loves musical theater, and has directed several school plays. Rachel is a graduate of Yale University and Boston College.